Education Posts in the UK: What areas are best for Irish teachers? Deciding to make the jump to teaching in England is one thing, but with so many locations in the country to choose from, many Irish teachers can find it difficult to decide on a town or city to live and work in. Luckily Engage is on hand to help you with a breakdown of the top 5 areas for Irish teachers in the UK. We’ve gathered this information from the hundreds of Irish teachers we’ve placed in our partner schools. Perhaps unsurprisingly, the capital remains on top for Irish teachers. London’s popularity is thanks in part to the large population of Irish teachers already in the city, and the fantastic transport links to the rest of the country and Europe, allowing you to visit your friends and family back in Ireland at the drop of a hat. Check our London-based teaching vacancies. Home to the famous Cambridge university, this student city offers plenty of things to do – with numerous museums, restaurants, bars, and historic sites to visit. Cambridge is mostly flat, with beautiful countryside, and as such is a fantastic location for those who like to cycle to work. Cambridge has a fast-growing economy as more and more people relocate to the city, and have some of the best schools in the country – 85% of Primary schools and 79% of Secondary schools in the area are rated Good or Outstanding. Check our Cambridge vacancies here. The town of Slough is close to London and was named the best place to live and work in the country in 2017. Slough is much cheaper than living in London but has one of the best economies in the country and an unemployment rate of just 1.4%, giving people who live there a great standard of living. See our vacancies in Slough. Luton is a valued destination for many Irish teachers thanks to the local airport which offers quick and cheap flights to Ireland, yet remains close to London. Based in Bedfordshire, Luton also boasts beautiful English countryside, for those who want to get away from the hustle and bustle of the city. Look at all of our vacancies based in Luton. This historical town is just 20 minutes from London by train, and is served by much of London’s public transport network, making it an ideal location for teachers who want to be close to the city without the associated high cost of living. Watford has a fantastic environment of culture, with numerous theatres and music venues, as well as the famed Warner Bros Studio Tour, making it a go-to destination for Irish teachers who want to get stuck into England’s rich entertainment history. Take a look at our Watford-based vacancies. 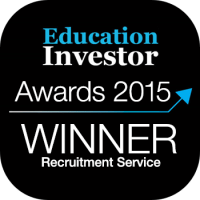 If you’d like to learn more about working at some of the great schools in the best areas for teachers in England, get in touch with us and our friendly consultants will be able to tell you the best areas and schools that suit your needs. 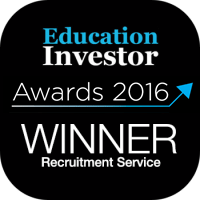 International teacher information - education news, relocation assistance and support from your favourite education recruitment company. International teaching experience; meet Lyndsay!